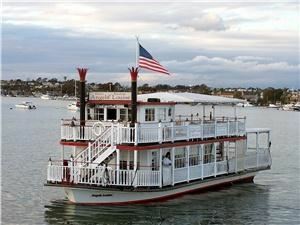 Are you looking to have a very special Yacht Wedding or just want to ELOPE or Get Married This Weekend in Orange County. Maybe it’s a Birthday or Anniversary for someone you love. Or you want Private Yacht Charter for your company dinner party in Orange County. Whatever the celebration or social event, The Electric Riverboat Angela Louise is able to accommodate your needs in comfort and elegance. Because Short Notice Weddings in Orange County are our specialty, we also can accommodate Quick Weddings or Fast Weddings. We do Yacht Weddings and Yacht Charters seven days a week and we have the best prices in Newport Beach and Orange County.